Welcome to the fifth edition of the ‘How I Put My Type 2 Diabetes Into Remission’ series. In this series, you’ll discover how Samantha has transformed her life and managed to come off insulin and metformin in just two months! I hope you enjoy this interview and feel as inspired by Samantha as I do. 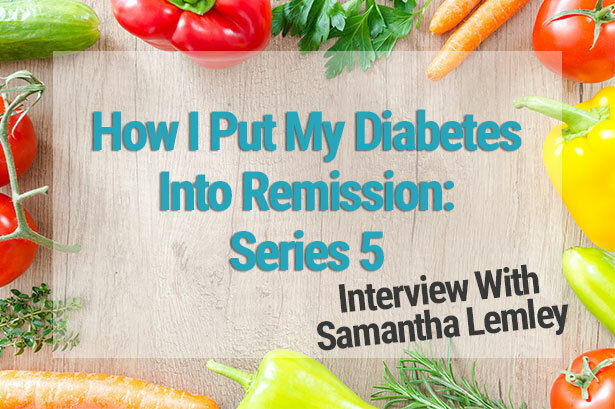 Hi Samantha, can you tell us a bit about you and your diagnosis with type 2 diabetes? In April of this year, I was diagnosed with Severe Type 2 Diabetes. My doctor was concerned because I had an ear infection that had plagued me since January. Also, I had infections in the incision site of Achilles tendon surgery. My leg with the surgery would swell to twice the size of the other. The ankle surgeon was perplexed about why I would be having so many issues following surgery. At the advice of my primary care physician, I had lost a little more than 20 pounds since the last time I had seen her in 2017. That’s because at the time I was pre-diabetic. I thought that would take care of it. Sadly, I was wrong. I was in shock. My mother passed away at 48 from heart disease. Diabetes was a contributing factor. When I was diagnosed, I was 46. While I’d known that there was a chance I would develop Type 2 Diabetes because both my parents were diagnosed, I didn’t think it would really happen to me. It gave me the impetus to make some major life changes. My wife and I took a look at our lives. Neither of us had been “happy” for a while with our work or weight. However, we are both committed to our relationship and love. At first, we both followed the guidelines for diabetic diet. I took Metformin daily. My blood glucose levels didn’t budge. So my doctor put me on insulin injections. When I had to start taking shots, I knew that this was more of a life I didn’t want. Since my wife’s a professional chef, she started looking at food options. She came across the keto diet and shared it with me. Under the supervision of a primary care physician and a diabetes specialist, we began to eat keto. Things started to change immediately. While I was in physical therapy for my ankle surgery, I wasn’t doing well in the beginning. After starting keto, I saw an immediate improvement in my mobility and pain. Soon, I was back to exercising and outpacing the expectations of physical therapy. My ankle surgeon told me to slow down on the activity because he was concerned I would re-injure my tendon. The more I controlled my diet and exercise, the lower my blood glucose levels became. Less than 2 months of eating keto and exercising daily, I was off the Metformin and insulin injections. Two months later, my numbers are non-diabetic (not even pre-diabetic). Image on the left: Alexa (left) and Samantha (right). This photo was taken right before Samantha’s diagnosis of type 2 diabetes. Image on the right: A recent photo of Samantha (left) and Alexa (right) since following a ketogenic diet. Sam and Alexa are showing off their new LuxeBites sugar free chocolate confections from their low carb, gluten free, and sugar free brand Ketoluxe. I used medication, diet, and exercise to bring my diabetes into remission. By going on Metformin and insulin injections, I followed my doctor’s instructions for diabetes care. When she felt that my diabetes was under control, she took me off the medications. Also, I adopted a ketogenic diet that excludes refined sugars, gluten, soy, and processed foods. While going towards my goal waist size of 32 inches (half my height), I limited my net carbs to 19 to 30 grams a day. Since I’ve lost 10 inches from my waist since April, I’ve increased my carb intake to 30 to 40. My wife and I also gave up alcohol for two months. Now, we limit drinking to one no carb cocktail during social occasions. 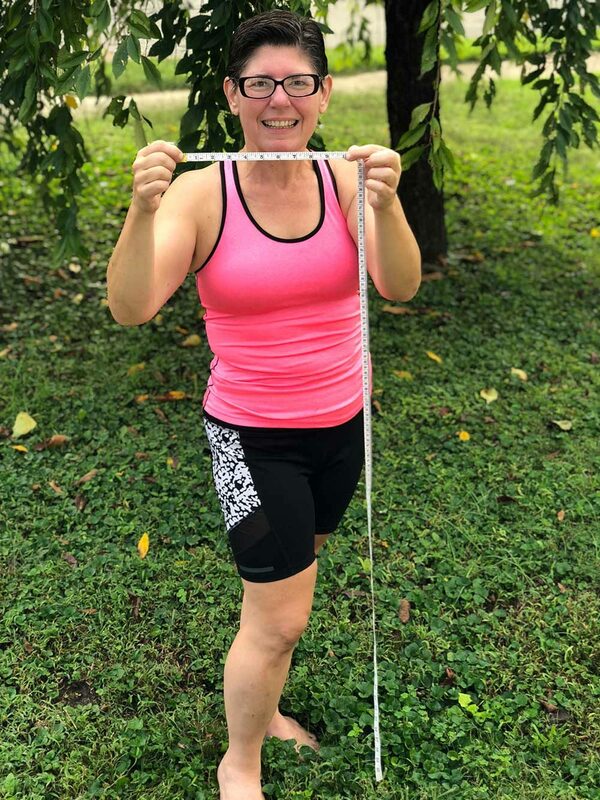 Samantha has lost 10 inches and 40 pounds since April 2018! I exercise daily, including walking after dinner to lower my fasting blood glucose levels. Twice a week, I go to yoga classes. I also learned to ride a bike for the first time. At first, I could only go 2 miles. Now, I average 12. I also ride the exercise bike and walk on the treadmill on rainy days. My wife and I started investigating activities to do that didn’t involve food and got us to move. We started kayaking, target shooting, and some other fun stuff. We share about those on my Diabetic Adventures Facebook – @diabetesadventures and Instagram – @diabetesadventures. I test my blood sugar levels in the morning (fasting) and before bed (after dinner). Monthly, I see a diabetes specialist. I visit my primary care physician as needed–often when the specialist has a concern about how low my blood sugar levels are. In April, I was diagnosed and started taking Metformin and eating a lower carb diet. In May, I began taking insulin injections and cycling/walking. In June, I started eating keto and exercising more regularly. By mid-July, I was off Metformin. Before the end of July, I was off insulin injections. Now, my fasting blood glucose averages 85. That’s down from 300 in April. So a little over 3 months. At first, it was difficult to see family and friends enjoy foods we used to eat together. And the pictures on social media of desserts and pasta would drive me almost to tears. I kept telling myself that I wanted to be healthier more than I wanted to have a piece of chocolate cake. Sometimes, I had to say it aloud several times. I also had to take myself out of those situations. My wife and I would not go to events where high carb foods and wine would be served. To offset that, we offered to cook for family and friends. Sometimes it worked. Also, I unfollowed, unliked, and unsubscribed from food sites. I joined some Facebook support groups that really helped. One of the hardest things was to deal with our jobs, though. We owned a gourmet marshmallow and confections business (among other things). It became harder and harder to go to work. So we closed it. That’s one of the things about living healthier. I found that when I took away the self-medication of high carb foods, sugar, and alcohol, I had less tolerance for situations that weren’t in my best interest. I realized I had been compensating for my unhappiness with food and drink. That’s no way to live! My wife and I decided that if it doesn’t bring us joy or go towards a personal goal, we’re not doing it any longer. We’re not perfect at that, yet. But we’re getting a lot better. That’s why we make sure to exercise first thing in the morning. We put our health and happiness over the demands of society. The grams of each are determined by how many calories a person eats a day based upon activity levels and goals. At first, I thought I might starve. My wife followed some meal plans with food that didn’t appeal to us. That’s why I’m so glad she’s a chef! She started making simple substitution or eliminations based upon the foods we enjoy. We didn’t eat a lot of processed foods before my diagnosis-but our portions of pasta, fruit, and other high-carb items were out of control. 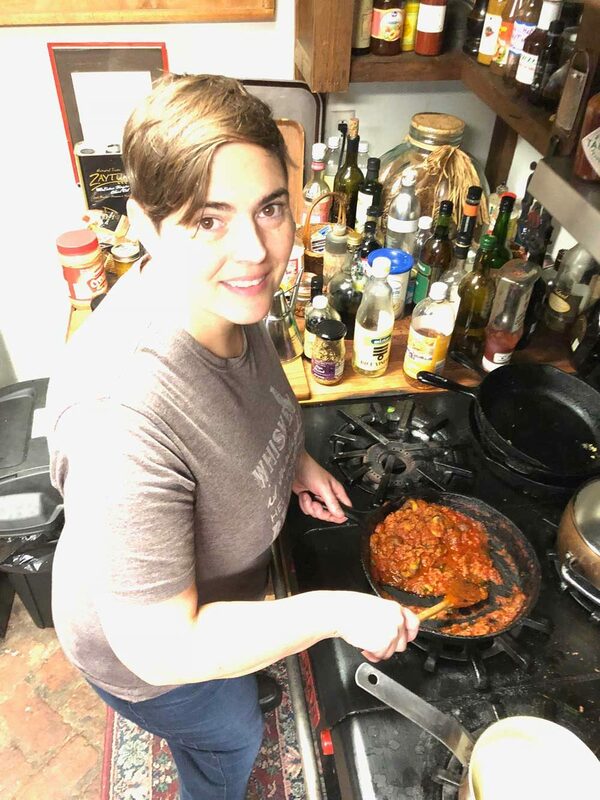 She started her own KetoLuxe Facebook – @ketoluxe and Instagram – @ketoluxe accounts to share her recipes. For breakfast, I’ll often have two hard-boiled eggs with ham and some avocado. I like to drink almond milk and have some string cheese. I’m not a big breakfast person. Yesterday, I had blackberries in homemade whipped cream. For lunch, Alexa likes to make us shakes. They vary from day-to-day. Often, there’s almond milk, bone broth, avocado, and berries. When I was left to my own devices for lunch the other day, I made balsamic marinated and grilled portabella caps with goat cheese and microgreens. For dinner, we enjoy a wide variety of foods. That’s because we have more time to cook and experiment. Last night, we ate grilled bison burger with blue cheese, roasted cauliflower and broccoli, and sauteed shitakes. For dessert, we had a chocolate avocado pudding topped with raspberries and blackberries. The other night, we ate sauteed rosemary and lemon chicken breasts with sugar snap peas. German chocolate cake with whipped cream was for dessert. A lot of people think keto is bacon and butter. But we try to get as much of our fat from fruits and vegetables as we can. We eat a lot of cheese, too, for protein. I’ve been in remission since July. Diabetes is your body’s way of letting you know that something needs to change. So do it. You can start small like giving up pop (that almost killed me) and walking around the block. Often, we self-medicate with food and television to hide what is really going on in our lives. I know I did. But you can make a choice to be healthier. Since I’ve been public about being diagnosed, many people have reached out to me about their struggles. The problems range from being afraid to go to an exercise class to being intimidated by cooking their own dinners. I’m sure you’ve experienced that, too. That’s why my wife and I started our Diabetes Adventures and KetoLuxe pages. It helps us know that we’re not alone and support other people. We’re always glad to share insights and listen if anyone needs to reach out. 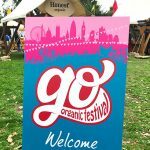 KetoLuxe blog – plenty of advice and ketogenic recipes! I would like to thank Samantha for sharing her story. It is incredible that Samantha was able to come off all diabetic medication in just two months of eating a low carb diet. The logic is simple, eat less of the foods that convert to glucose! I would also like to congratulate Samantha and Alexa on their magnificent weight loss. Did you miss the fourth edition of the ‘How I Put My Type 2 Diabetes Into Remission’ series with Randy? You can read Randy’s story here. 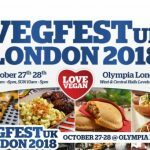 VegfestUK London 2018: What’s On?